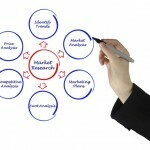 We conduct all forms of market research, from qualitative exploratory work to large-scale market segmentation studies. Our professionals become an integral part of your project teams, helping to tie the big picture and your goals into the research design. A comprehensive research and consulting program that enables destinations of all kinds to develop a positioning strategy based on a solid foundation of marketplace information and insights. The Best of Both Worlds hybrid market research tool yields results from larger samples found in quantitative surveys with the additional in-depth interviewing results of a qualitative survey. Quantum Insights offers an affordable method for conducting primary research. AnswerAccess enables you to receive answers to your questions without having to fund an entire custom study. A comprehensive approach for measuring and building loyalty by examining what affects customer and/or employee commitment and loyalty. Drowning in a sea of Social Media data? 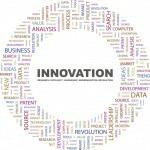 We’ll help you to gain meaningful insight into your social media data. Evaluate your corporate reseach activity to maximize your ROI.